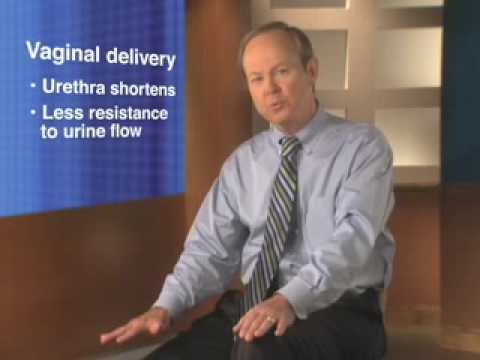 Urinary incontinence is the inability to control the timing of urination. It causes a person to 'go' against his or her will. However, there are different types and knowing what they are provides guidelines for overcoming this annoying problem. Under normal circumstances, a series of ring-like sphincter muscles automatically squeeze closed the base of the bladder. Usually, we relax them voluntarily but when we cannot control their function, urinary incontinence results. Temporary incontinence can result from lifestyle choices. Excess alcohol consumption reduces the ability to control urination at the same time it is overfilling the bladder. To make matters worse, alcohol is a diuretic, a substance that encourages the body to release fluid. Tea and coffee also have this effect, in part because of their water content but also because caffeine is a diuretic. Other substances in tea and coffee can irritate the bladder, leading to temporary urinary incontinence. That is the cause and the treatment is to simply reduce the amount consumed to more moderate levels. This type of urinary incontinence occurs when the need to urinate ramps up more quickly and strongly than usual. We may feel we have to go, but not have time to reach the toilet before losing self-control. It can happen to anybody, but is more common in the elderly who tend to have less control and take longer to reach the bathroom. It may also result from a urinary tract infection, such as cystitis. Lifestyle changes can help counteract this problem. Having easy and quick access to a bathroom, by having a walker handy or placing a reading chair nearer the toilet, for example, is one way to deal with this. Another relatively common problem among the elderly is a type known as overflow urinary incontinence. In this instance, the muscles perform poorly and allow urine to leak out the urethra at unexpected moments. It is more likely when the bladder is overfull, but the underlying cause is often an enlarged prostate gland or a tumor. Diabetes is another common cause of this type, since it can damage the nerves involved in bladder control. Having an exam to check for an enlarged prostate or other medical problem is necessary in this case. A similar condition occurs with functional incontinence. Here, an individual has normal bladder control, but it simply takes too long to reach the bathroom. Arthritis, hip fractures, and other conditions can make movement slow and difficult. Bladder training can help resolve this issue. Kegel exercises are one common method. In this exercise, the muscles that control urination are located by successively stopping and allowing urination. Then they are gradually worked to increase the amount of time between the onset of urinary urge and urination. Stress incontinence occurs from a weakening of the bladder control muscles, sometimes because of childbirth or surgery. As such, it often heals itself in short order. However, there are also drugs, which can help, such as Imipramine. That prescription medication relaxes the bladder muscle responsible (in part) for creating the urge and contracts the muscles at the bladder neck to increase control. If you suspect a problem with urinary incontinence, have it examined by a professional to ensure correct diagnosis and treatment.